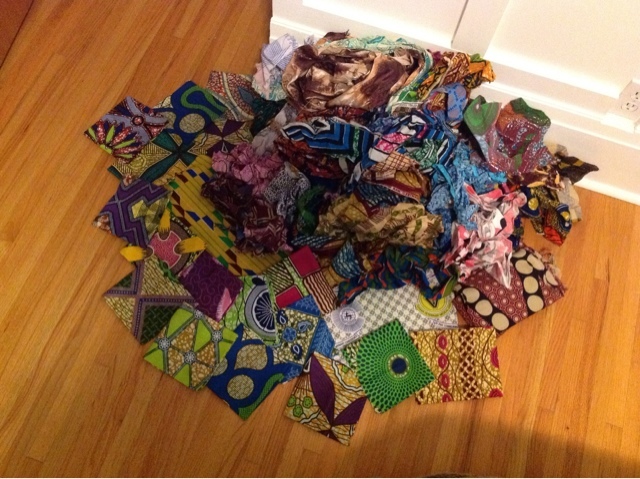 I've spent nearly 15 hours this week washing, ironing and cutting wax print scraps for the two Ghanaian quilts I have planned. Needless to say, my living room looks like a hurricane of fabric hit it, and I'm biting at the bit to set up my new craft space. Big plans are in motion right now on that project (including the recent purchase of a convertible sofa!) and I'm hoping to be moved in within the next few weeks. In the meantime I am fortunate to be spending the next five days at our cabin, and I've already found some down time to sew a small project. On my Summer Sewing Hit List post I mentioned that I planned to make my sister-in-law an iPad cover. Today I spent my afternoon putting the finishing touches on her new case and I love the way it turned out. I followed this great tutorial by One Shabby Chick and then tweaked a couple things to customize it a bit. 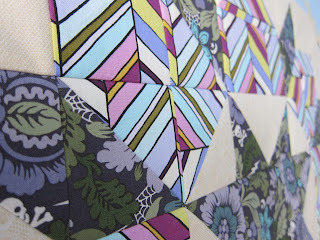 Altogether there were three main edits that I made to the original pattern. I had the perfect green flanelette in my stash so I decided to line the inside of both my own case, as well as my sister-in-laws case with it. 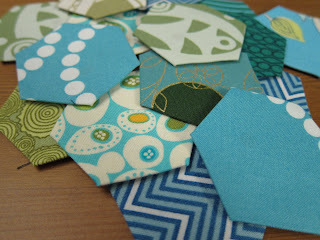 I also decided early on in my planning process that I wanted to incorporate some applique into these projects. 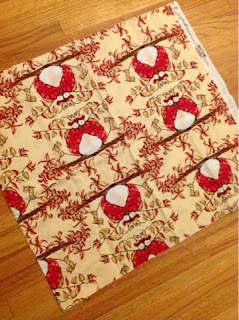 The photo below gives you a little glimps at the double applique technique that I used to highlight a little owl from this adorable Alexander Henry fabric. Keep your eyes peeled for a tutorial on this technique soon. 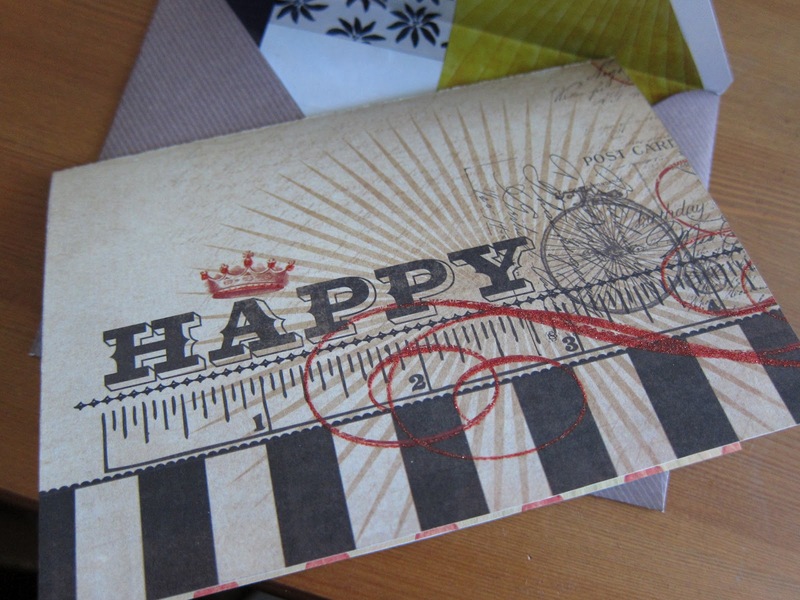 Lastly I decided that I wanted a full width fold-over flap rather than the narrow one that is shown in the pattern. To accomplish this I began by cutting my flap pieces to 8 x 4.5 inches and then rounded two of the corners on each piece using my rotary cutter and a coffee mug as a guide. 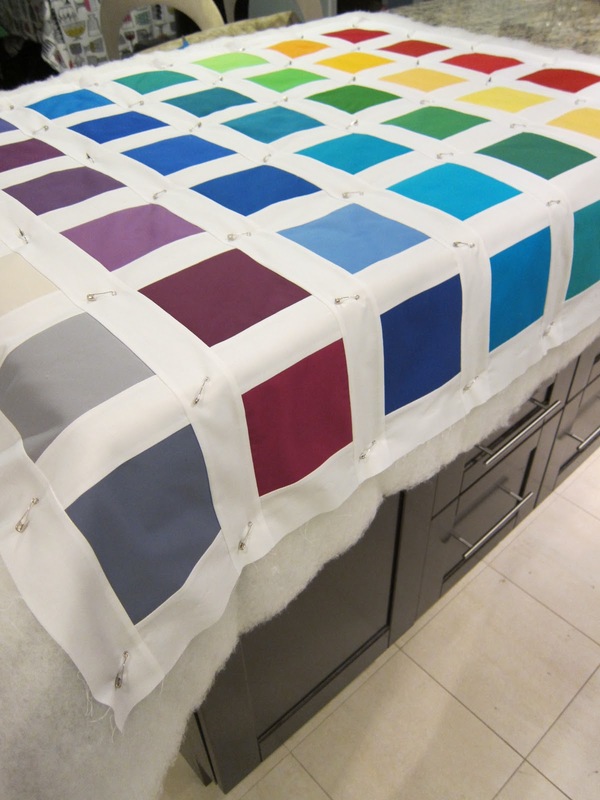 Once the pieces were sewn together all that was left to do was add some notches around the corners (as shown below). 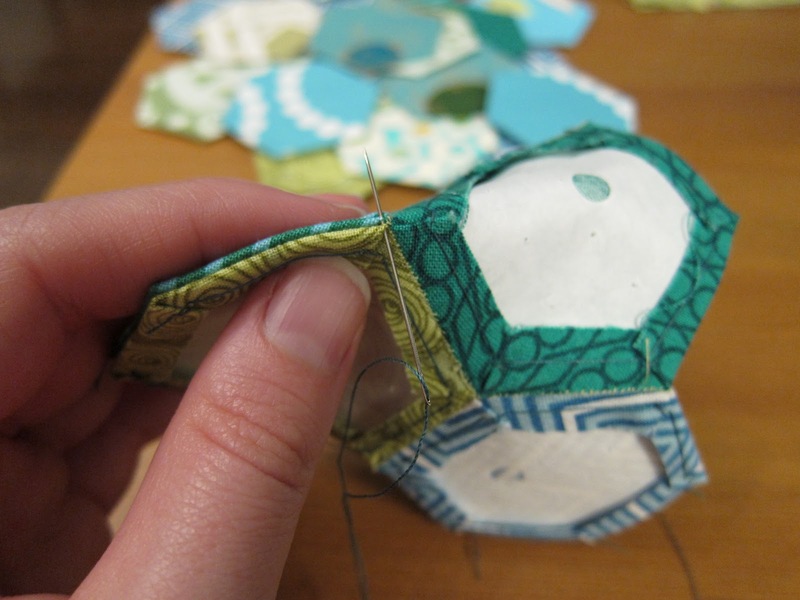 I then simply turned the flap right-side out and continued along with the remaining directions. Happy Canada Day to all my fellow Canadians and have an enjoyable long weekend. 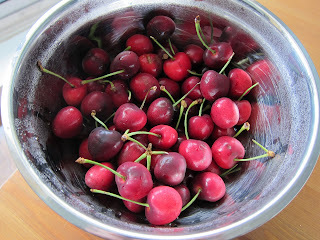 I know that inbetween fireworks and bbqs I will be sneaking in another small projects or two, will you? There's nothing quite like a Canadian winter to make me downright giddy at the prospect of a few months of sunshine, grass and flip flops. 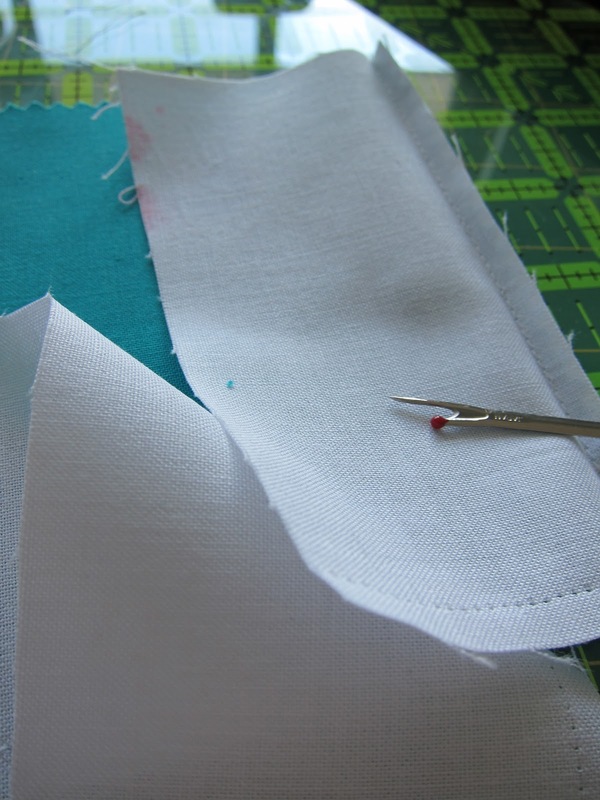 As summer barrels towards me, I find myself spending more time in parks, on patios and generally anywhere that is not within reaching distance of a sewing machine. 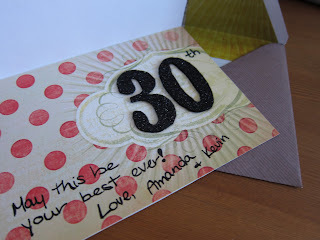 What's a crafty girl to do? Handwork! 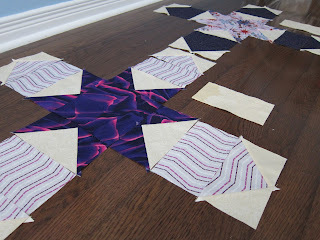 Lately, more and more of my big sewing projects are being sidelined in favour of some good old English paper piecing. 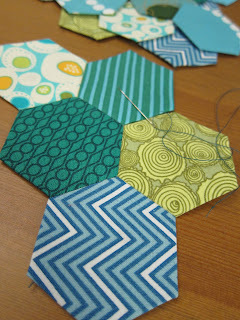 Let me tell you, making those hexagons is very, very addictive! While I methodically cut, baste, and sew the little units together, I can't help but admire their perfect finished edges and their beautifully symmetrical shape. I'm not sure what these little hexies will become but I can tell you that it's very likely that I'll spend most of my summer making more of them. 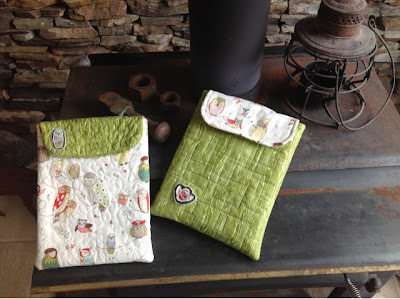 Every fall I develop an intense desire to sew, and that feeling follows me well into winter. 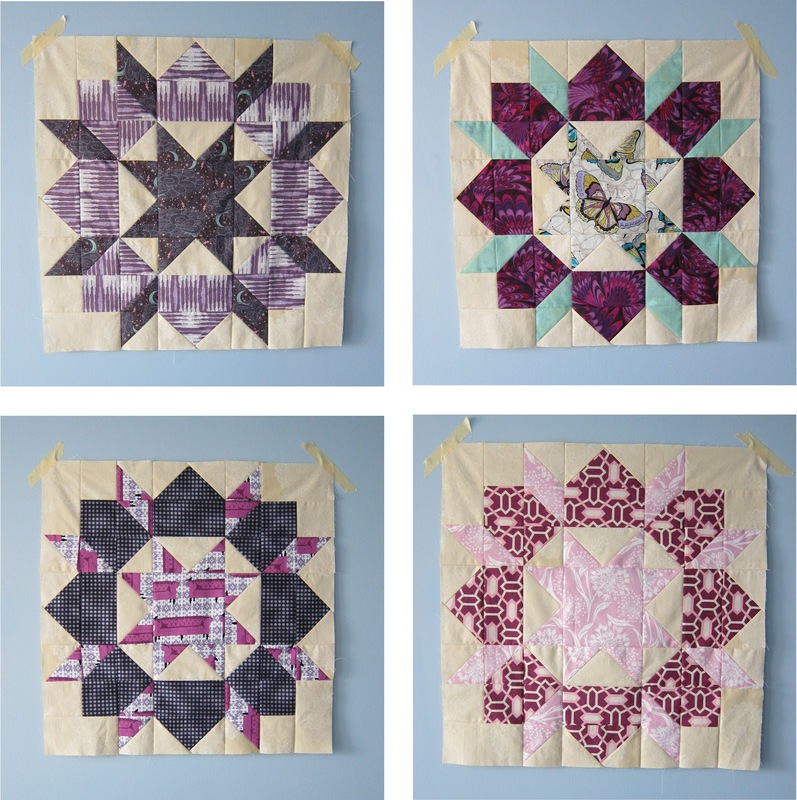 But by summer something changes, and I find myself procrastinating projects, packing away my Janome, and as a result deferring an activity that brings me so much joy. This year I'm determined to keep up my creative streak and to keep me focused I've made a list. I read once that people who write down and share their goals are 10x more likely to complete them than those who don't - so here's me giving it a shot! (sneak peek here and here) I spent a summer in Ghana a few years back and have yearned for a wax print quilt ever since. I recently bribed a friend who lived there to bring me back some tailor's remnants and she took the bait! Now I have a pile full of scraps and a plan to make us each a beautiful memento of our time there. Unfortunately getting it all washed and ironed seems to be holding me back right now. (finished!) 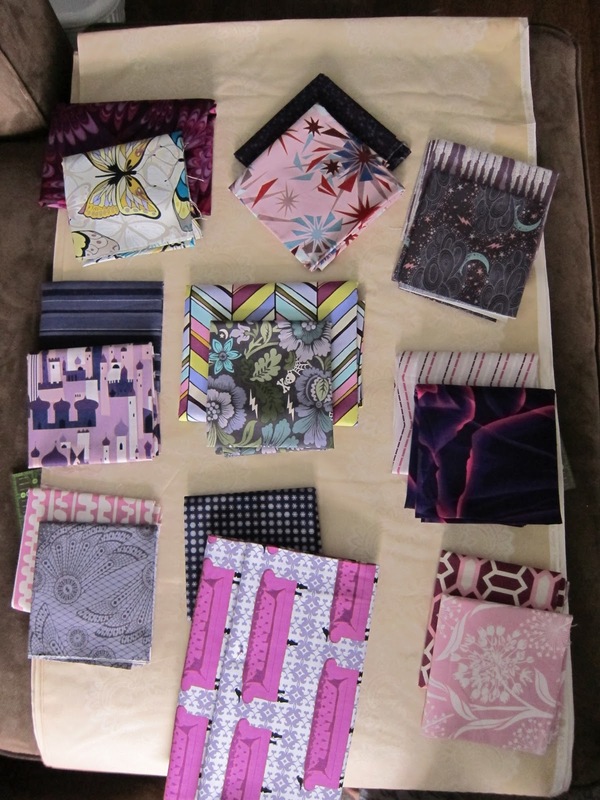 I recently made myself a custom iPad cover and my sister-in-law swooned. 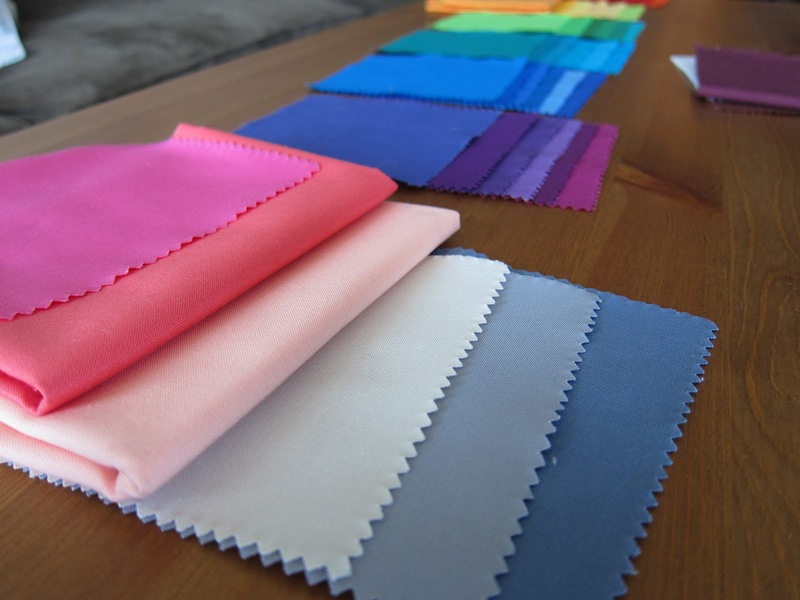 She did her part and picked out some fabrics, so now I need to follow through and deliver a product. (finished!) 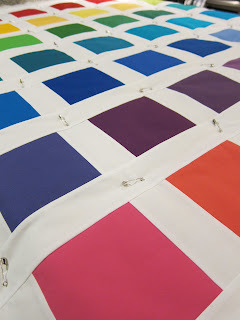 I loooove clean straight lines and nothing makes me happier than chain piecing a quilt top, but last year when Amanda was married she made each of her bridesmaids a custom Amy Butler Birdie Sling Bag and I've been smitten with mine ever since. It's about time I sew myself another! 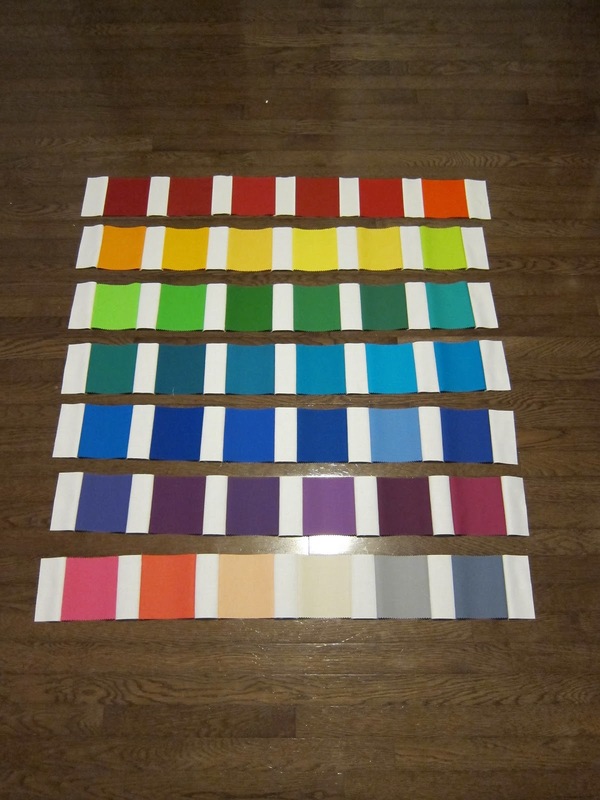 (design board and reveal coming soon!) This hit list item is what I'm hoping will really motivate me this summer. I'm determined to make some affordable changes to our current guest room so it can serve dual purpose as sewing space and extra bedroom. I plan to elaborate more on this in an upcoming post so keep my eyes peeled for that! (while in progress and now finished!) No craft room couch is complete without a couple of vibrant pops of color in pillow format. 7. Make a custom cushion for a pint sized rocking chair: My father-in-law is a gifted crafter in his own right and recently made a darling child sized willow rocker for the cabin. 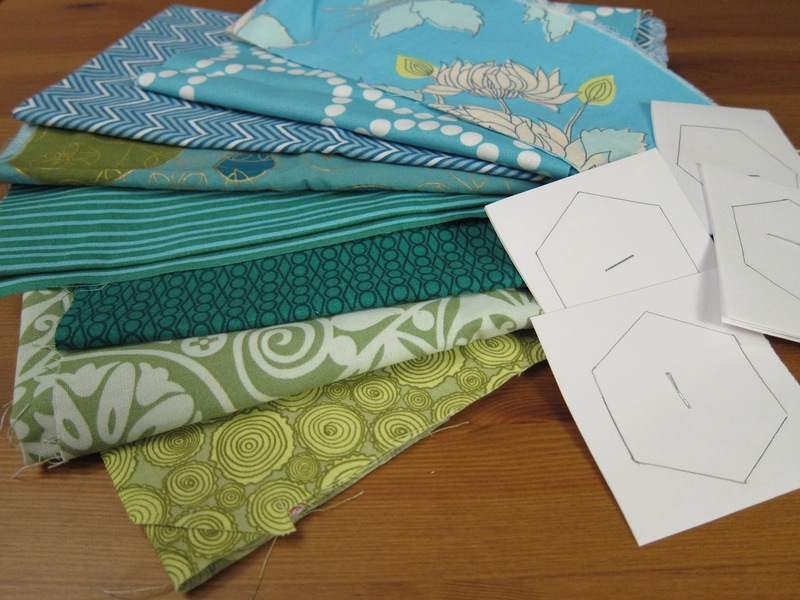 I order some fabulous owl fabric and plan to whip up a pint sized cushion to match. 8. Stock up on baby gifts: (burp cloths) There is no shortage of new baby mamas this year, and this go around, I intend to stock up on my shower gifts before the 11th hour. What projects are you determined to work on this summer? I am a process crafter. Most of the time, I don't care whether a project ever gets finished. I make things because I want to try a new technique, see how something will come together, or just blow off some creative steam. Because of this, I love learning about other people's creative process. How did they choose materials? What inspired them? What inspired the colour scheme? Since there must be others out there like me, I thought it wise to contribute to the "process" conversation by documenting my own. 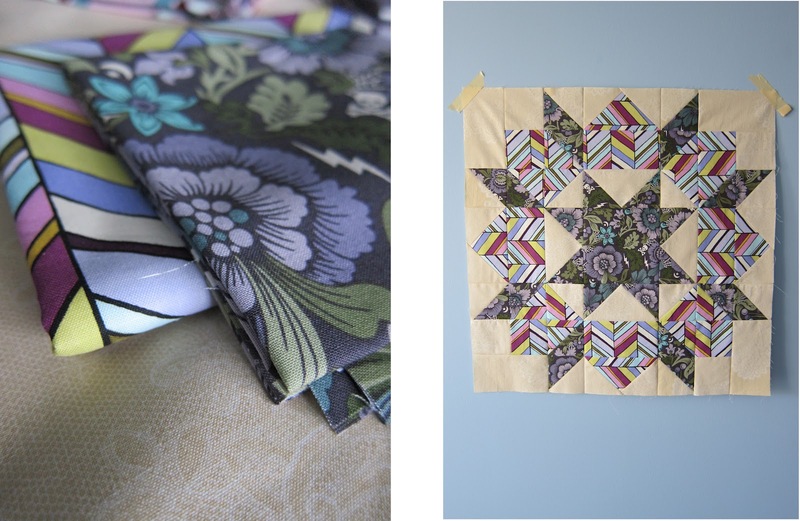 After seeing countless renditions of Camille Roskelley's popular Swoon pattern, I decided that it was time to jump on the band wagon and give it a whirl figuring that my guest bedroom could use a nice quilt to spruce up the otherwise sparse decor. Struggling with fabric choices, I turned to Design Seeds a.k.a. 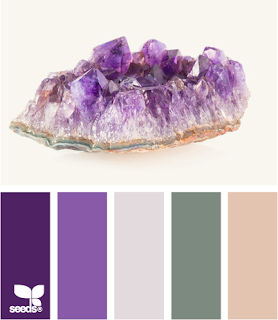 my absolute favourite source of colour inspiration and found this little gem. I love the differing shades of purple from the softest lilac to the deepest plum set off against the cream with hints of grey and dusty green with just a hint of turquoise. 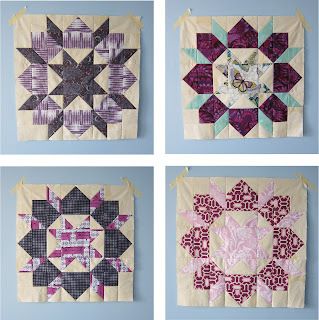 Then I found this quilt and fell totally in love with movement and sense of chaos created by using geometric prints in the outer star portion of each block. 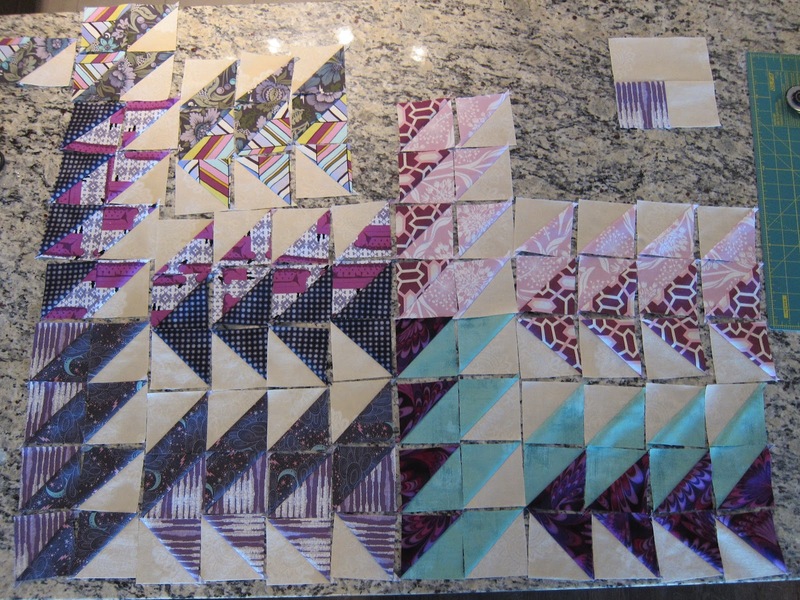 Yesterday I managed to finish my very first block. I am blown away by how much the relationship between the fabrics changed as they were cut and pieced together. 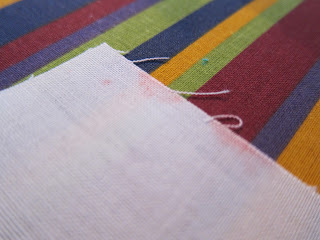 Two fabrics that appeared to be relatively high contrast to me in fat quarter form really blended together when pieced. 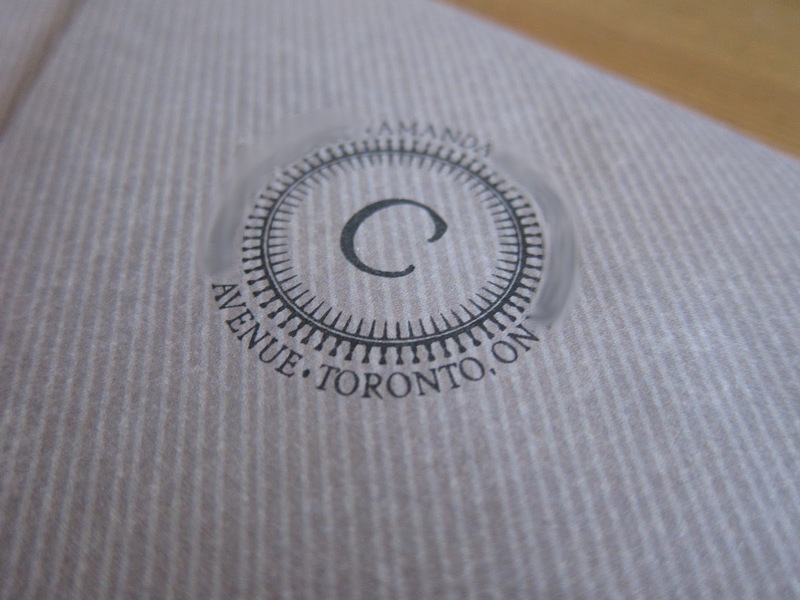 I really had to be careful with the positioning of the outer spokes of the star to try and maintain enough contrast. Here's a better shot of the spokes. Only 8 more to go! Last week Amanda posted about what I like to term "baby boom 2.0". There's no doubt in my mind that generation 'Y' is giving it their best shot at a modern day baby boom, and struggling to find the perfect gift at every shower can be quite the chore. As an avid hobbyist in all things crafty, I can't resist the opportunity to gift something personal and homemade for any special occasion. With all of the baby showers I've attended over the past few years though I've often struggled to find that perfect gift that a new family or a family on their second child might find unique. About 8 months ago a stumbled across a couple of blogs that framed paper punch hearts and butterflies. Unfortunately when my computer died a couple months back I lost all of my saved links so I can't share my original inspiration (if only I had been on pinterest back then! ), but here is my interpretation of a unique gift for that baby with everything. 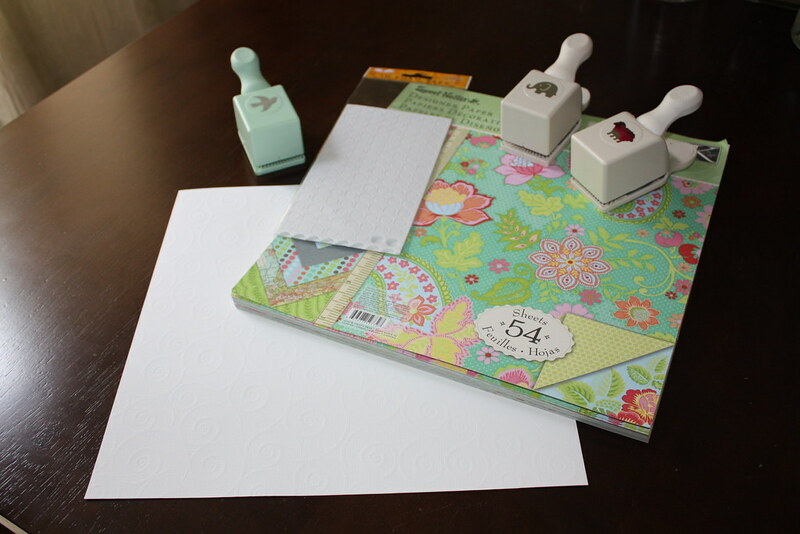 This is the perfect mid-week, last minute, relaxing craft that can be pulled together in 1.5-2 hours. A great pre-taped show on your PVR to keep you entertained. 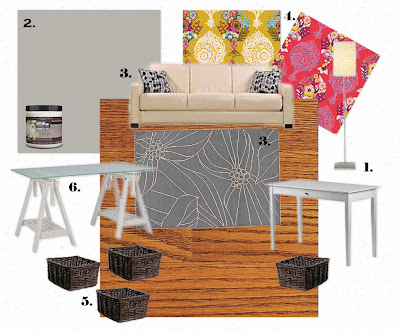 When choosing material, think of the nursery it will hang in and feel free to experiment! 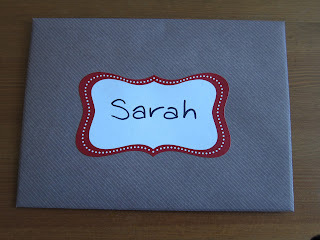 If I'm not sure what the decor plans are, I tend to use a simple textured neutral background scrapbook paper and then use colourful animal shapes, hearts, or fleur-de-lis on top. Remember though that this craft is all about tailoring it to the recipient and the more creative the better! I once used newspaper print from the day of birth as the background with red hearts placed on top - the sky is the limit so think outside the box. 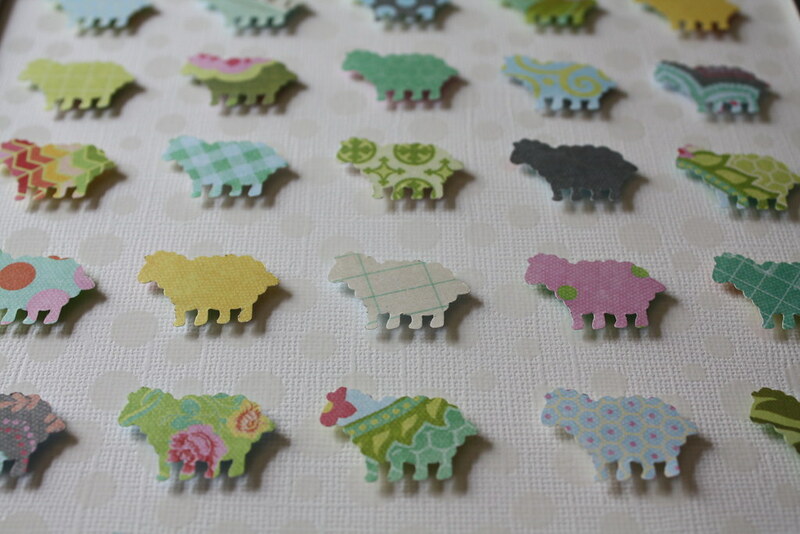 To start off, begin by punching sheep shapes from your selected paper and tentatively lay them out on your background material. Without adhering anything yet, lay the double mat on top of the background material and ensure the placements of sheep look level. I like the good ol' eye ball level but if you are worried about spacing things perfectly feel free to mark dots on your background paper using a ruler as your guide. 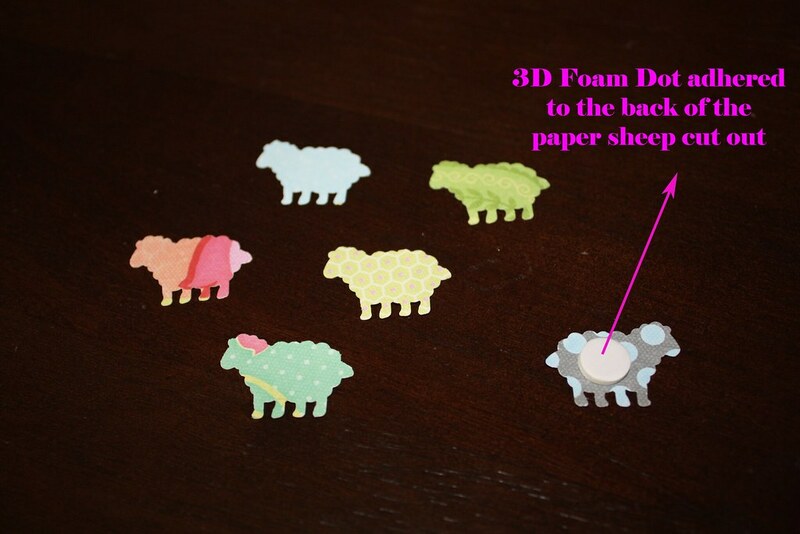 Once the sheep are all set, remove each sheep independently and place a 3D foam dot on the back (available at scrapbooking stores and most big box craft shops). At this time you really want to make sure you are happy with their placement. One by one, remove the protective backing off of each dotted sheep and press against the background paper, being careful not to bend the delicate paper legs. 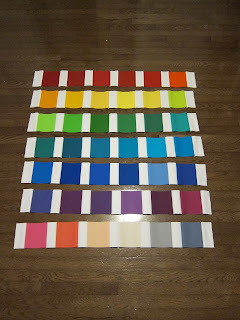 Now that the sheep are all laid out and glued down, the next step is to attach the double mat to the background paper. To accomplish this and ensure the sheep maintain their 3 dimensional appearance, I use additional 3D foam dots around the outside of the background paper and place the mat squarely on top. 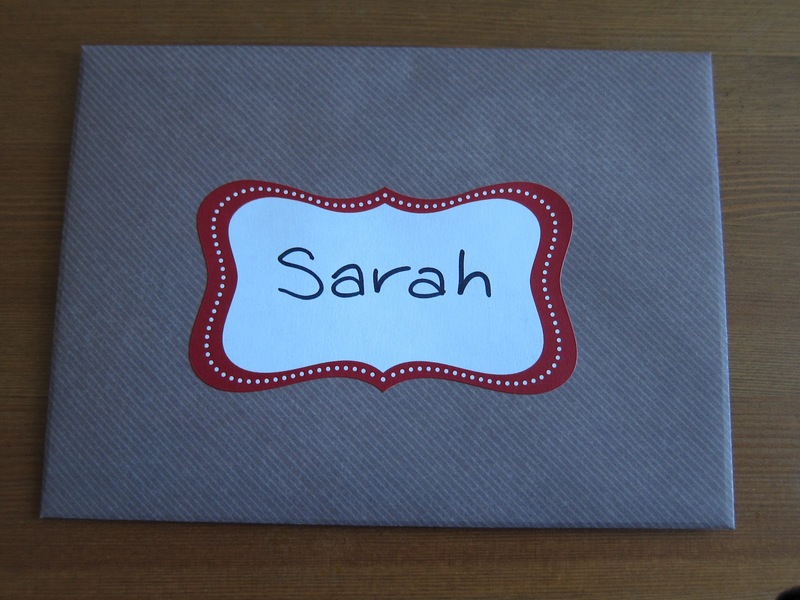 Lastly before framing, consider adding a personal touch like writing the birth date or baby name on one of the paper sheep (as this gift has yet to be delivered I refrained from showing you that info and ruining my friends' surprise). Don't forget to polish up the glass prior to delivery and be careful when you wrap it. 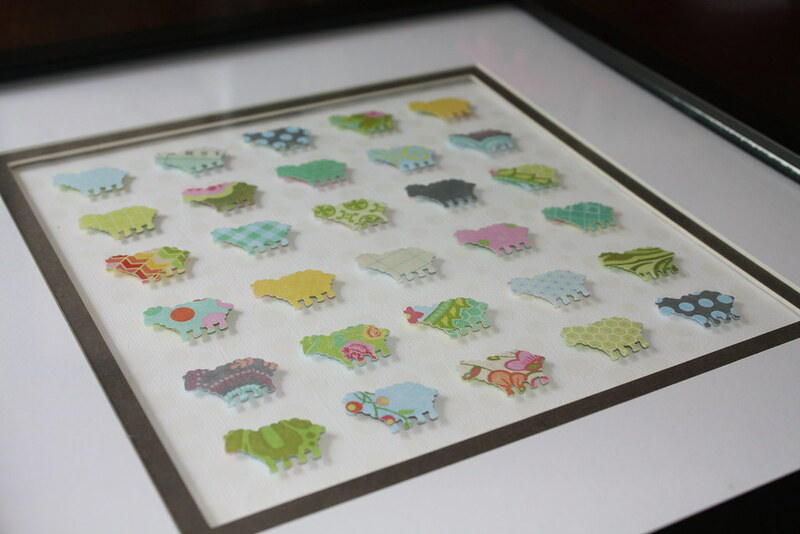 This is the perfect gift to make in batches and keep on hand for your upcoming baby shower invites.I hope that you've been inspired by this post to create your own custom nursery artwork. It's been one of those years. You know, the one where everyone you know is having their first child. They feel a lot like the years where everyone you know is getting married or buying a house. The year starts off fun. There is so much excitement at all of the good news. Inevitably, the enthusiasm starts to peter out and is replaced with the doldrum of social obligation and panic at the idea of having to plan yet another shower (with a new theme of course), come up with yet another great gift idea and in my case, furious furious crafting. In one of my more desperate gift finding attempts, I found this on Pinterest and decided that I could DEFINITELY make that quilt in two weeks. No problem. I ordered a charm pack (Kona Classic Palette) and patiently waited for the goods to arrive. 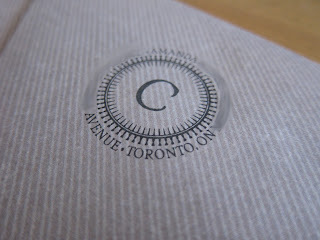 A week and a half later, Canada Post pulled through (a.k.a. 4 days pre-shower - eek!). 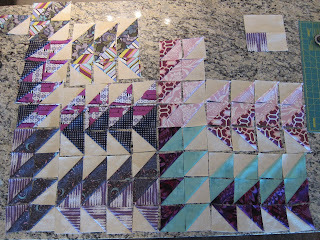 Some pinning, some chain piecing led to this (forgive the crapster photo, I think it was about 3 a.m. at the time). While pressing it all, I somehow managed to get red permanent marker in a pretty conspicuous spot and used that as a sign that it might be bedtime. 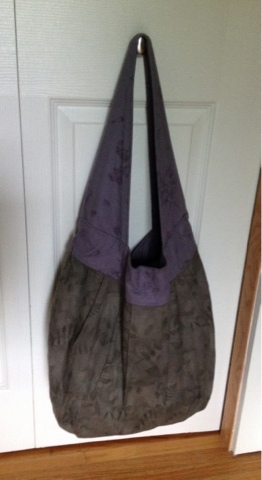 and a bit more sewing, I ended up with this. It's not quite a finished quilt but it at least looks like it might one day become a finished quilt which will do for shower purposes. Fortunately, I still have a few more weeks before the bambino needs the "without pins" version of this project. P.S. Yeah for kitchen counter tops! I absolutely love basting on my island. It's the perfect height. Lucky for me, my spouse doesn't complain too much when I commandeer our only counter space for crafting.